New unit photos, new price! 12-30-18. all furniture and personal items removed. 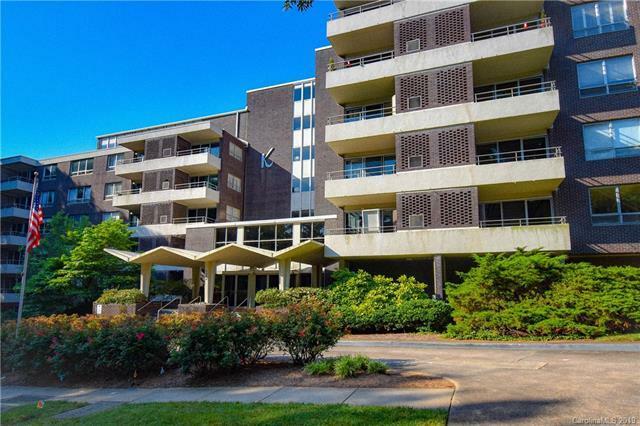 Spacious and bright mid-century-modern apartment in an elevator building featuring an open floorplan with high ceilings, walls of glass and ample closet space facing the newly renovated Park Road Shopping Center. Apartment has an abundance of natural light & neutral Pergo floors throughout. Step outside your building to a private covered walkway connecting residents to the center of entertainment, restaurants, Sugar Creek Greenway and shopping. Welcome to the heart of one of the most vibrant communities in Charlotte. Building Amenities include pool, guest quarters, grill area and storage. Close proximity to both Uptown & Charlotte Douglas International. Exceptional value for the 28209 area. HOA dues include basic cable, water and individual resident annual property taxes. Offered by House Charlotte Realty. Copyright 2019 Carolina Multiple Listing Services. All rights reserved.